Joliet The Evil Possessed Doll Of Nightmares! Joliet, the consumer of boy souls is indeed a very scary story! Joliet is indeed a very evil doll. I don’t think other dolls like Annabelle or Robert have nothing on Joliet. Four generations ago a friend of the family gave Anna’s grandmother Joliet the doll as a present when she was pregnant with her second child. What Anna’s grandmother didn’t know is that her friend was very jealous of her, for whatever reason we do not know. 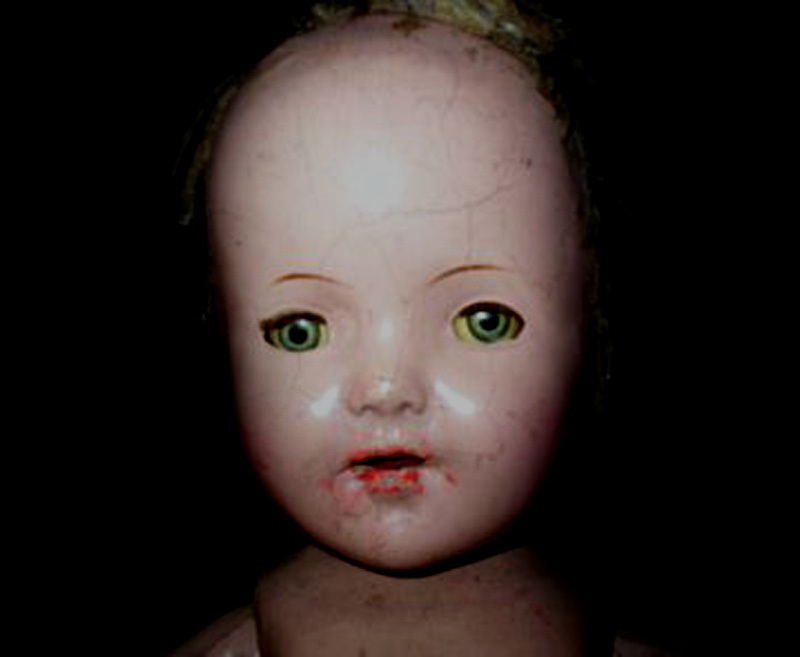 The jealous women was known to practice in the dark arts and placed an evil curse within the doll. Anna’s grandmother gave birth to a beautiful baby boy, on the third day the boy mysteriously died. The family was heartbroken and had no idea at the time that the cause for this was the cursed doll, or at least that is what the family now believes. This phenomenon has been going on now for over 4 generations. Each women would un willing pass the curse down to the next women in line. The women of the family would always have 2 children, one girl and one boy. And on the third day after the boy’s birth he would mysteriously die. Not to long after Anna’s grandmother lost her son she started waking up during the night to the sounds of a baby boy crying. After frantically looking to find the source of the crying she soon realized that it was coming from the doll. Eventually Anna’s grandmother found out about her jealous friend and believes that her son’s soul is trapped within the doll. Every time a women within the family losses a boy they can hear a new cry added to the doll. Sometimes the doll would sound as if one boy was crying and sometimes it sounds as if all the boys are crying. The family would never think twice about destroying the doll as they belive the family’s lost sons souls lie within it. They all care for this doll as they would their own sons. Making this a very dark and a very evil curse. To this day there is said to be at least 4 souls trapped within Joliet, making the family wonder if this curse is going to last forever? Until next this is paranormal junkie make sure to subscribe and stay tuned!